Our kitchen grinders are ideal for breaking up tobacco, grinding up nuts, preparing herbs & spices from your garden, separating garlic, plus literally hundreds of other uses around the kitchen. 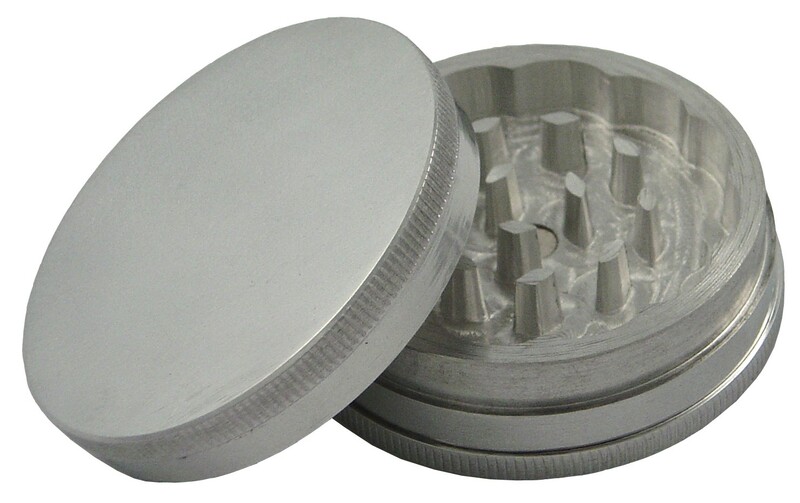 This 2 1/8" aluminum kitchen grinder is precisely CNC machined, making it's operation smooth and the cutting blades extremely sharp. It features a magnet to hold it closed and notches around the outside to make it easy to grip. To use it, just place the item to be ground on one side, place the other side on top, push them together while twisting, and continue to twist until you reach the consistency that you want.